The man was seen grabbing a ladder to rescue the dummy dangling above him. No one was around to save Clark Griswold as he dangled from a roof while hanging up Christmas lights in "National Lampoon's Christmas Vacation," but a dummy representing the fictional character wouldn't have faced the same fate. A family in Austin, Texas, based their Christmas lights display off the iconic movie scene for a neighborhood decorating contest, but the display may have been a little too realistic. The family combed through consignment shops in the area to find the perfect outfit for the dummy, who they nicknamed "Clark Griswold Jr." -- a flannel button-up, down vest, baseball cap, jeans and "dad" sneakers, ABC Austin affiliate KVUE reported. (ABC News) A good Samaritan who thought the Chris Griswold dummy was a real man quickly grabbed a ladder to rescue him. 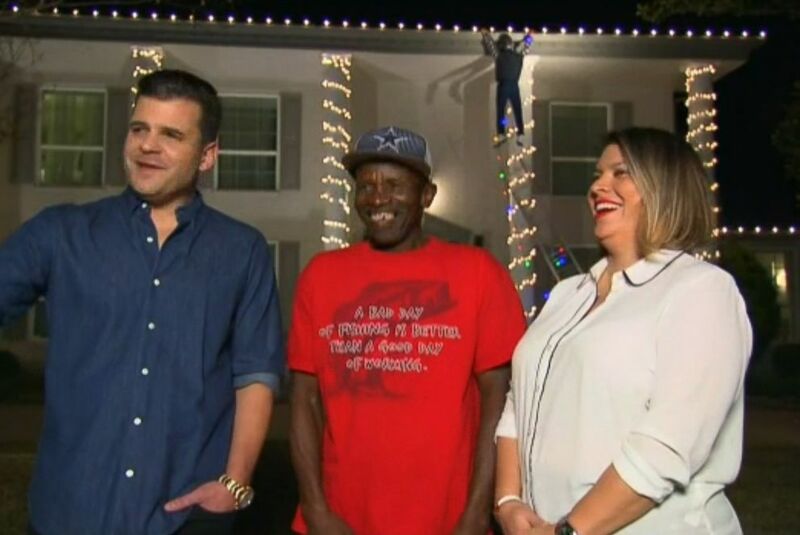 Last week, as passerby Alfred Norwood, Jr. neared the home, he thought the dummy dressed in classic Clark Griswold attire was actually a victim of Christmas decorating gone awry hanging for dear life, according to KVUE. Norwood could be seen in the home's front porch camera running up to the display, shouting to the hanging man, "Please hold on!" The concerned good Samaritan then took the nearby ladder, which was carefully placed to look as if it were falling, and placed it near the dummy to assist him, the video showed. "Can you reach it?" Norwood asked. When the dummy didn't respond, Norwood then called out "Help!" toward the street and called 911. "I thought, ‘Oh my God! I hope he’s not dead. Let me call 911," Norwood told KVUE. Later, an Austin Police officer stopped by the home, telling the nanny that he had seen the display before, the surveillance video showed. 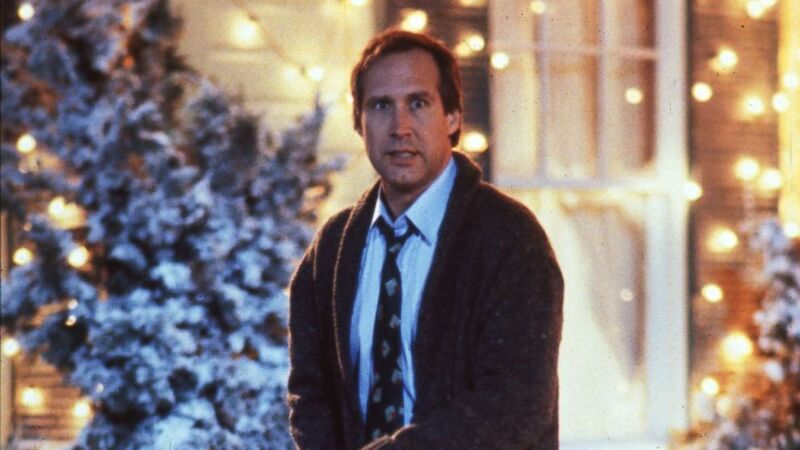 (United Archives/Newscom) Chevy Chase as Clark Griswold in "National Lampoon's Christmas Vacation," 1989. Norwood, a U.S. military veteran, told KVUE that he "was trying to get him down" any way that he could. "Except when I started talking to him, he never said nothing!" Norwood said. The incident happened one day after the light display went up, KVUE reported. Resident Leah Wheless told ABC News that Norwood was "the only one who stopped," although hundreds of people pass by the house every day. "He was doing everything he could to get the ladder and save Clark," Wheless said. The family gave Norwood a gift card to thank him for his good deed, even if it was all for naught. They also put a sign asking people not to call 911, stating that "Clark G." is part of their Christmas display.